Spot welding bonds metal surfaces with the help of electrodes and electric currents. Copper alloy electrodes exert pressure that hold workpieces in place and concentrate the welding area into one small “spot.” An electric current is passed through this spot to melt the metal and create the bond. Spot welding sheet metal is a fast, reliable, and easily controlled process. Because the electrodes can isolate specific heating spots, welders can concentrate their work without overly heating the rest of the panel. Increasingly faced with retail and custom display orders where aesthetic appeal is a priority, our manufacturers have used spot welding as an effective and efficient way of bonding separate units. The traditional tools and hardware for thin panel welding often leave welding marks that need to be ground down and flushed out. 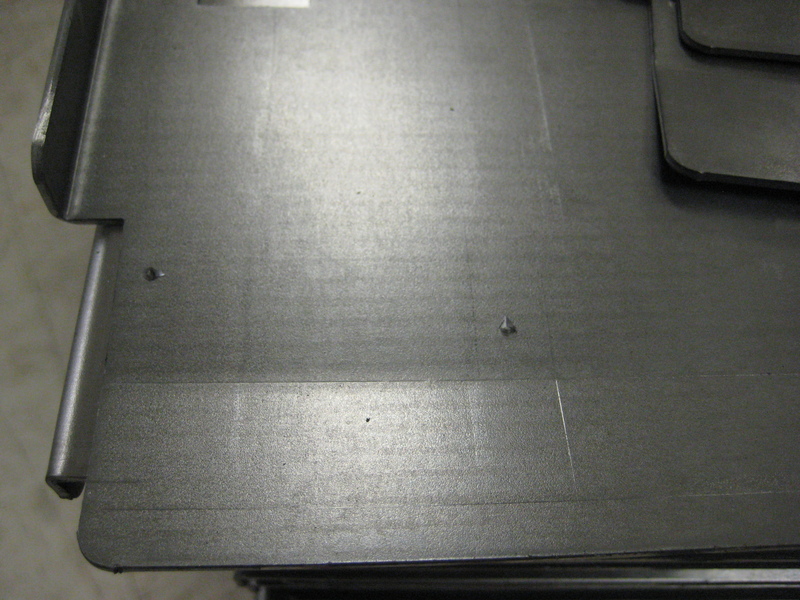 To remove the need for secondary tooling and save customers time and money, ETM manufacturers use simple locating tabs to increase accuracy and visual appeal. Once panels have been positioned and clamped together in-line with the tabs, spot welding creates a quick and solid bond. 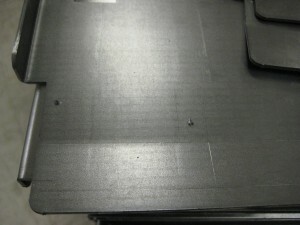 Specially suited to thin sheet metal panels, these high precision tabs leave behind little evidence of the fixturing process. The tabs, while often overlooked for their size, are a key part of ETM’s welding process that help us complete orders faster and help customers meet deadlines.